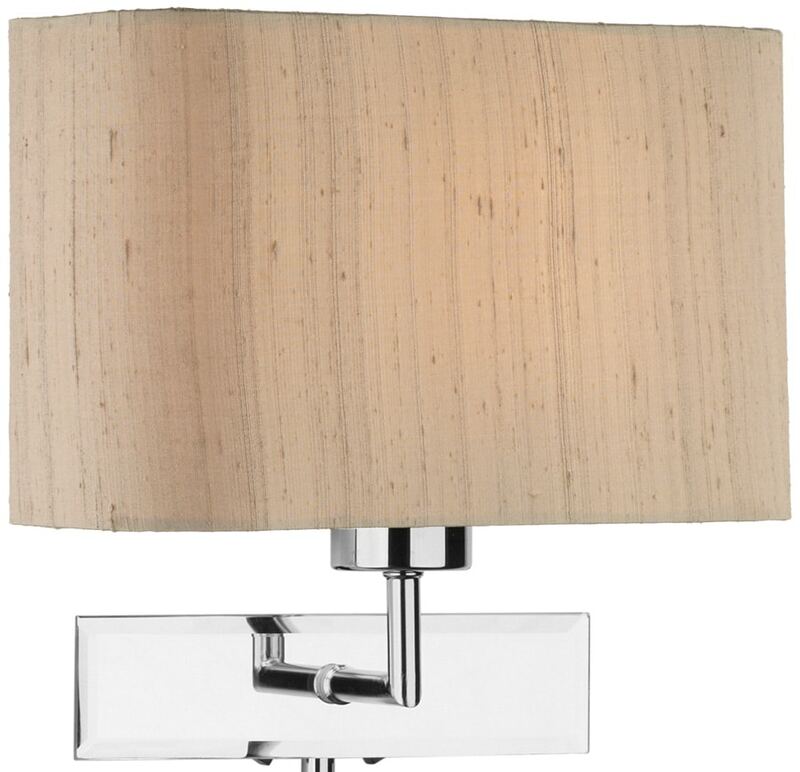 Part of the modern Amalfi lighting range with an adjustable LED reading light. 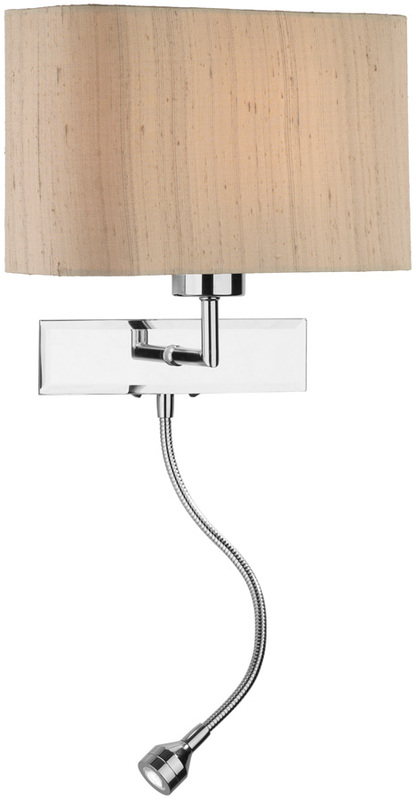 Modern, clean and sleek rectangular wall mount, with a simple ‘L’ shaped arm, bevel edged mirror glass face plate and a rounded rectangular pure silk shade. The flexible LED reading light is fitted centrally underneath and can be adjusted to shine the light wherever you need it for reading or performing any other task. Two rocker switches are fitted on the underside of the wall mount so that you can switch the wall light and reading light separately or have both lamps switched on. Ideal as a bedside wall mounted reading light or behind your favourite chair to help with reading, sewing or any other task. Available with a variety of shades as shown. 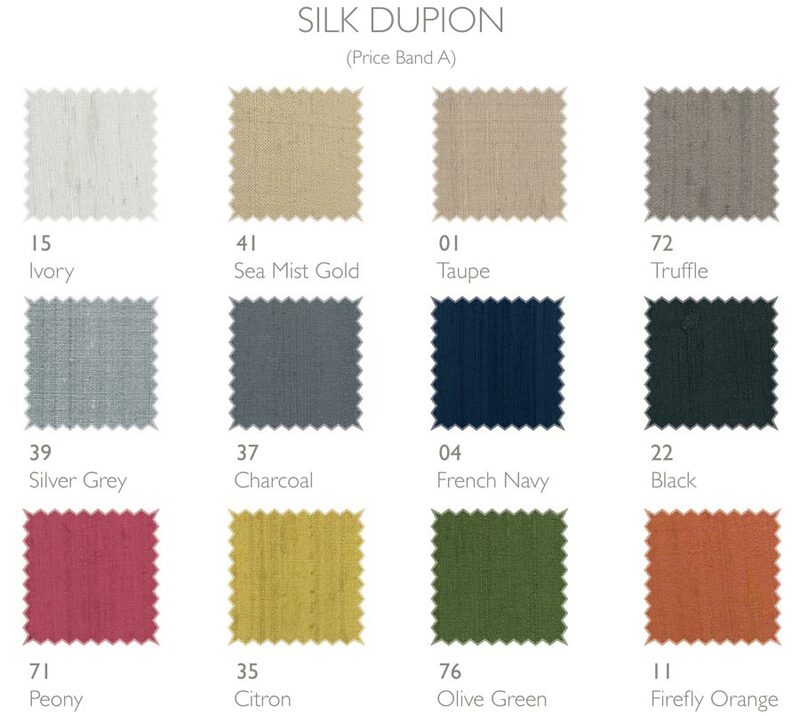 If you would like one of the other shade colours, please contact us. The dimensions shown are for the wall mount only and do not include the shade. Shade width 250mm – height 170mm – depth 105mm. These beautiful light fittings are made to order, please allow 3-4 weeks for delivery.